We’ve measured our success through People Survey scores and demographic data. We’ve increased representation of women from 25% to 32% of the directorate and 50% of Senior Civil Servants, compared with 51% of the UK population. We recently hired a female Head of Development, our first female Senior Technical Architect and several female junior and mid-level developers. Representation of Black, Asian and Minority Ethnic (BAME) people has increased from 8% to 19% of the directorate and from 0% to 10% of the Senior Management Team (the UK is 13%). Our LGBTQ* and allies community has encouraged declaration of sexuality and we have gone from 3% to 6% of the directorate openly identifying as lesbian, gay, bisexual or other (the UK is 2%). People identifying as having a disability have increased from 14% to 16% of the directorate (the UK is 19%). Declaration of religion has increased from 38% to 50% (the UK is 66%) and our age span has increased from three decades to four (the UK working population spans five decades). Considering the MoJ Digital & Technology directorate is around 1000 people, we are very proud of these increases. 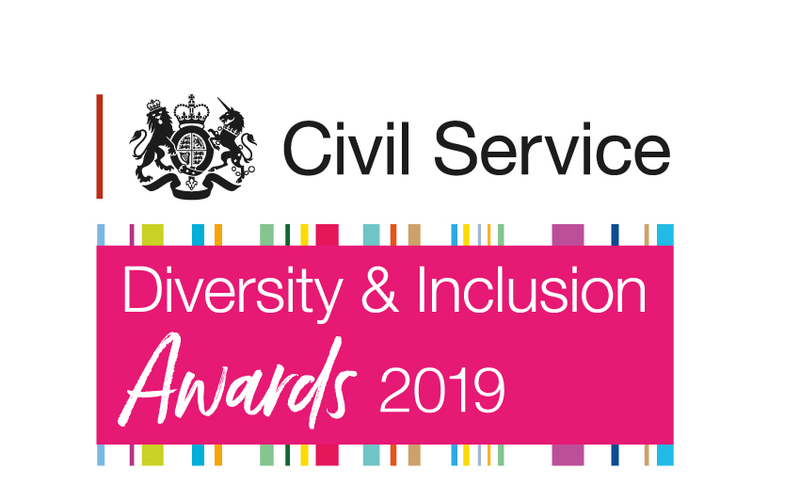 We also achieved an ‘Inclusion and Fair Treatment’ score of 85% in the 2017 Civil Service People Survey, higher than the average for the MoJ and making Digital & Technology a high performing unit across the Civil Service. And we increased our Engagement score from 63% in 2016 to 68% in 2017 despite the directorate expanding to include agency teams, more than doubling in size and becoming more geographically dispersed in that time. We know of at least two direct recruits through our activities at conferences, which we estimate to have saved us in excess of £40,000 per year compared with the cost of recruiting an interim contractor. To discuss sponsorship or partnership opportunities, please contact our customer service team. We are delighted to announce the Diversity & Inclusion Awards ceremony will be taking place at the Locarno Suite.